I had to work again all weekend. Ugh. I feel like I've been saying that alot lately. I also feel like I shouldn't complain because I really do have a fantastic job that allows me to be flexible with my weekdays, to some extent, so that my kids get more of my time during the week than most kids with working moms, but the weekends lately have been crazy! 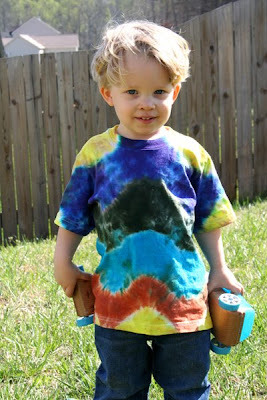 Anyway, Finn and I worked on some tie-dyeing this weekend and made part of his summer shirt wardrobe. He loves all the bright colors. We were even able to take a few breaks outside to enjoy the sunshine in his happy new shirts. 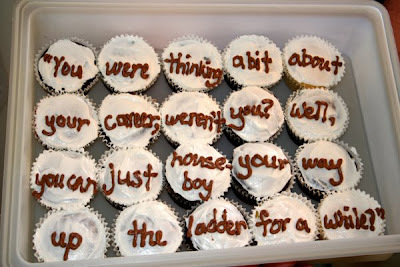 Then we went to visit our soon-to-graduate-from-high-school neighbor/babysitter who was making these cupcakes with a quote from Who's Afraid of Virginia Woolf for one of her classes. Finn was fascinated watching her work on them. So that was about the extent of my weekend, aside from convincing my dear husband to carve the rooster in the card stock that you saw in the photo yesterday (from the template in All Year Round). your hubby carved that? That was great! I use to do those when I was growing up in China. What a cute boy your son is. 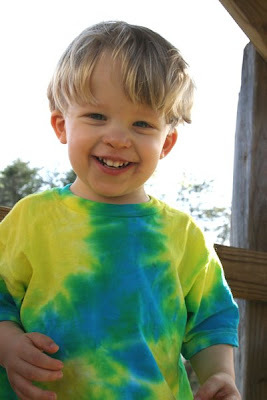 Love the tye-dye shirt! Wow Joy those shirts are beautiful and the carving your husband did is fantastic! The blue, yellow, and green shirt is just fabulous. I, too, like the bright colors! Cool tye dyes! They are so fun to make! I should think about resurecting my tye dye/batik tee-shirt making! I think I still have a lot of the old supplies! Sorry you had to work so much this weekend. Finn looks adorable in his new, bright shirts. Finn is such a cutie. . .what a sweet age! Great shirts and your neighbors cupcakes are hilarious! Wow, the tye-dye shirts are beautiful. Such bright colors, mine have never turned out that bright. I noticed you're reading "My Life With Bing." 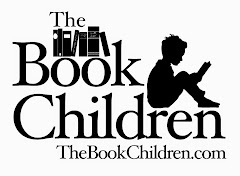 It is one of my favorite books. I love Mrs. Crosby's stories, and the banter between Bing and her. I always think of her as a cross between Lucy Ricardo and Erma Bombeck. It's so nice to know that others have found this book. I hope you'll post how you like it. Joy, those shirts are so happy. I love them. We must do some tie-dying here soon and make some happy shirts too. Love the cupcake quote, what a great idea!